Most people associate Atlantic salmon with angling on the East Coast of Canada. 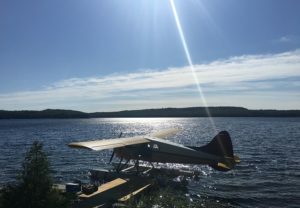 However, in Algoma Country,Northern Ontario, fly fishers have the opportunity to cast and swing flies for large Atlantic salmon on the St. Mary’s River, located in the heart of Sault Ste Marie, on the Canadian-American border. 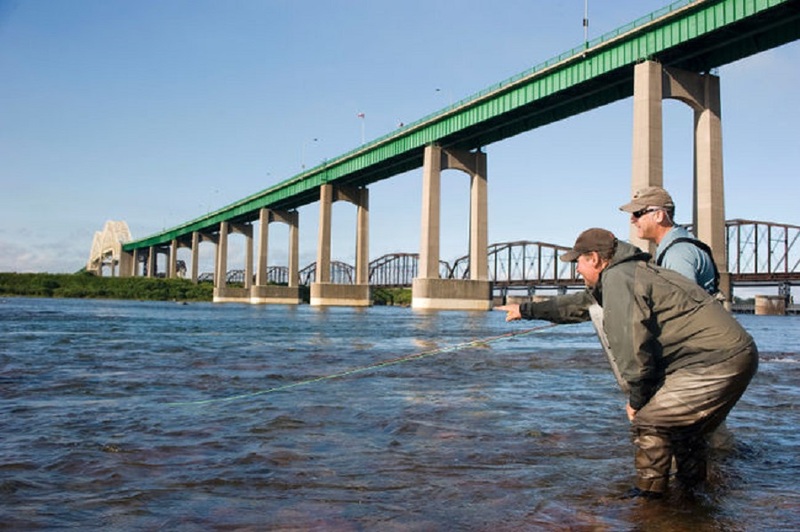 The St. Mary’s River is already well known for its runs of steelhead, Pacific salmon and other species. 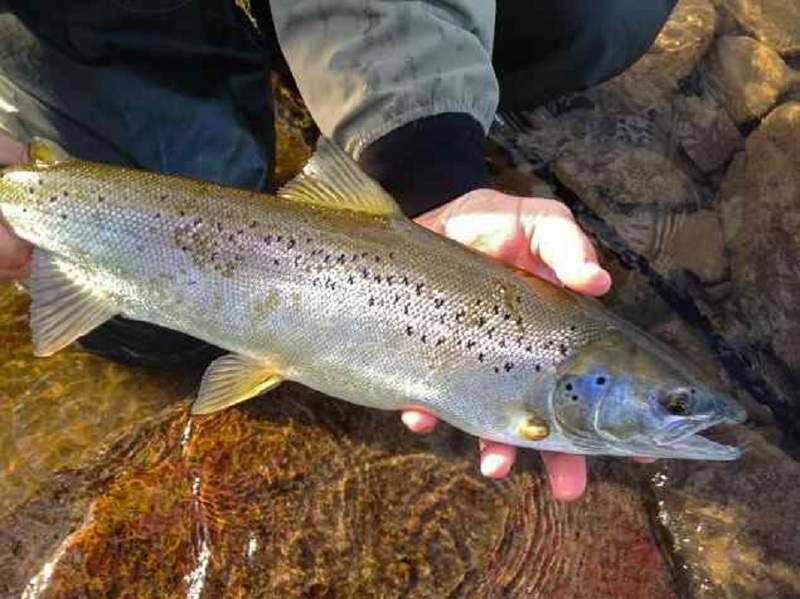 Over the years strong Atlantic salmon runs have emerged as a favourite for those that love to catch the “silver leaper”. One of the most experienced guides for salmon in the region is John Giuliani. With over 20 years know-how of fishing the rapids of the St. Mary’s, he’s the perfect person to help get you on the fish in all conditions. The typical season for the Atlantic salmon is the end of June through August. In the early part of the season the salmon are chasing smelt at the base of the rapids. John uses a boat for this type of angling and has clients cast smelt streamers to entice the salmon into striking. Frequently you will spot multiple salmon slashing the smelt on the surface in a wild frenzy of activity. John has invented some very unique methods for keying into this action and helping clients connect with aggressive feeding salmon. When water levels are low and temperatures are high, the Atlantic salmon will move into the rapids. Here John will have clients either swing flies with spey or switch rods or use nymphing techniques to catch fish. The action can be fast and furious when a fresh run of salmon have come into the rapids. 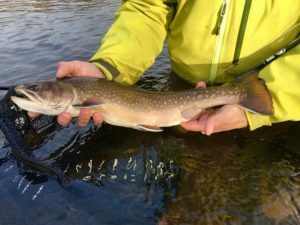 Best of all, you never know what is going to take your fly; often it is a steelhead or even a lake trout! For this type of fishing John our guide strongly recommends either seven or eight weight rods with fast-actions. 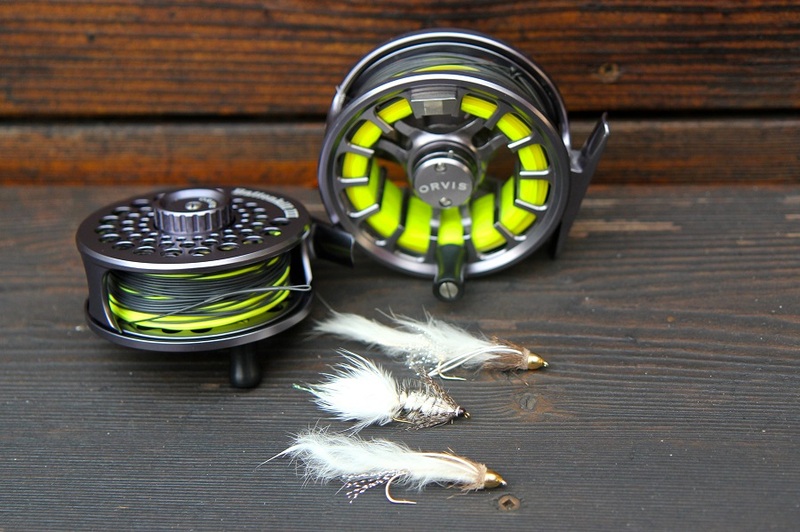 Unique to this type of fly fishing is the use of very fast sink-tip lines. Usually 24 foot sink-tip lines with sink rates of 5-7 inches per second are required to get your smelt patterns down in the fast currents. 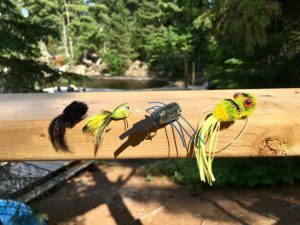 However, if the water conditions are low, then John recommends using floating lines with indicators to nymph or swing flies for the salmon. Leaders of six to nine feet are coupled with 2x or 3x tippets to handle the hard strikes you can expect. Of course like east coast Atlantic salmon, you definitely need a quality drag system on your reel to handle their lightening fast runs and acrobatic jumps! 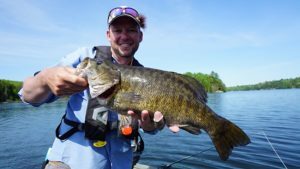 The fishing in the St. Mary’s River is legendary and best of all it is adjacent to reasonably priced accommodations right in the heart of Sault Ste Marie. 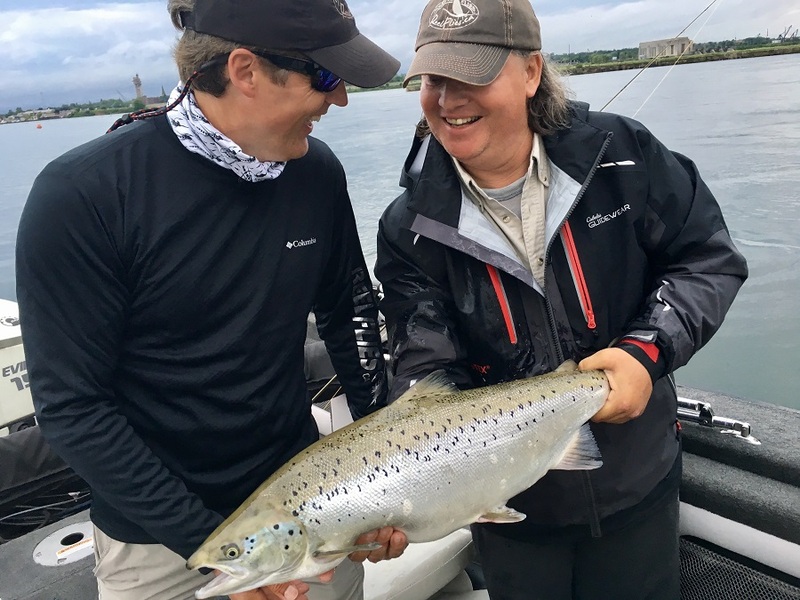 John Giulini is exceptionally conversant with the St. Mary’s River and understands the best times for great Atlantic salmon fishing or angling for other species such as steelhead. We would strongly recommend him to any visiting angler! 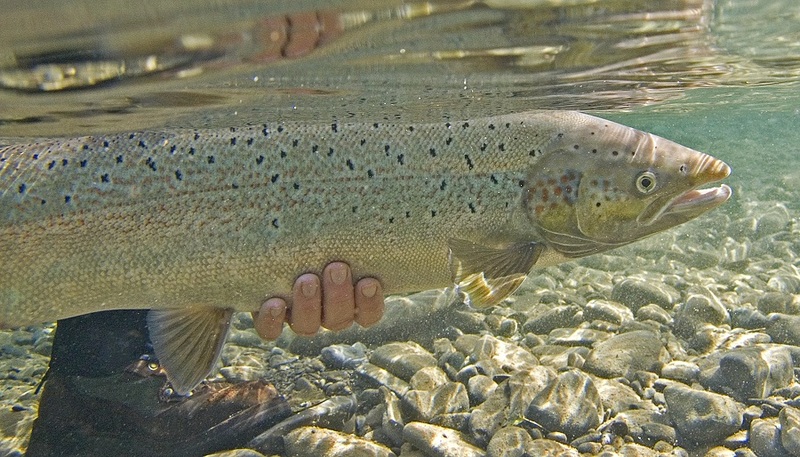 Atlantic salmon starts mid June, feeding on rainbow smelt below the Canadian power house. At this time, John runs his 20′ Starcraft with a 150 hp Evinrude motor. Fishing up to 4 anglers thru the summer into fall for this amazing fish. John also does walk and wade trips in the rapids for Atlantic salmon. June- Nov. Swinging and nymphing. 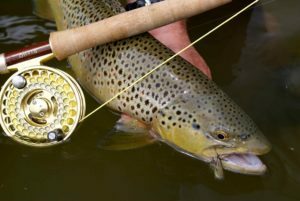 Spin and spey fishing is also offered.